AGS Movers Ivory Coast (which enjoys the status of AGS’ first branch in Africa) ended 2015 in style with an end-of-year party celebrating over 20 years’ existence! AGS Movers Ivory Coast (which enjoys the status of AGS’ first branch in Africa) ended 2015 in style with an end-of-year party celebrating over 20 years’ existence! 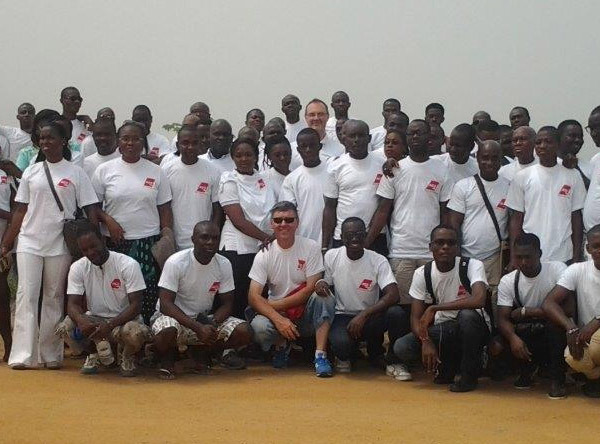 After the branch’s future plans were discussed with the 75 employees present, a hearty meal was shared in Grand-Bassam. Here staff enjoyed a traditional dance competition and an improvised football tournament!